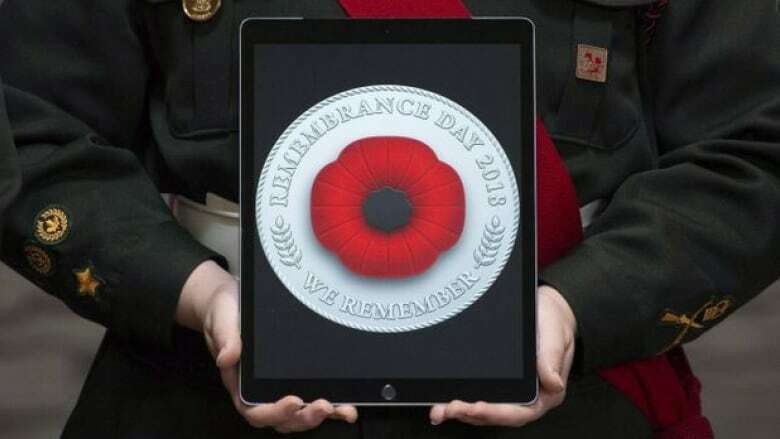 The Royal Canadian Legion is embracing the digital age with a new virtual version of the symbolic poppy. "We really need to go with the times, and we're trying to reach a younger audience," Pamela Sweeny, the Ontario Legion's provincial executive director, told CBC's London Morning Thursday. Sweeny noted that fewer people are carrying around cash and change these days, opting to exclusively use cards or cellphones instead. This can be a barrier for people wanting to buy a traditional poppy pin, which usually asks for a cash contribution. Now, with the Legion's new nationwide program, mypoppy.ca, Canadians can make a monetary contribution online until Nov. 11. In return, a digital two-sided poppy will be sent to their email. The website walks you through the process and has an added element of personalization that traditional pins do not have. Your name is engraved on one side, and you can choose to create it in memory of someone else by adding their name on the other side. 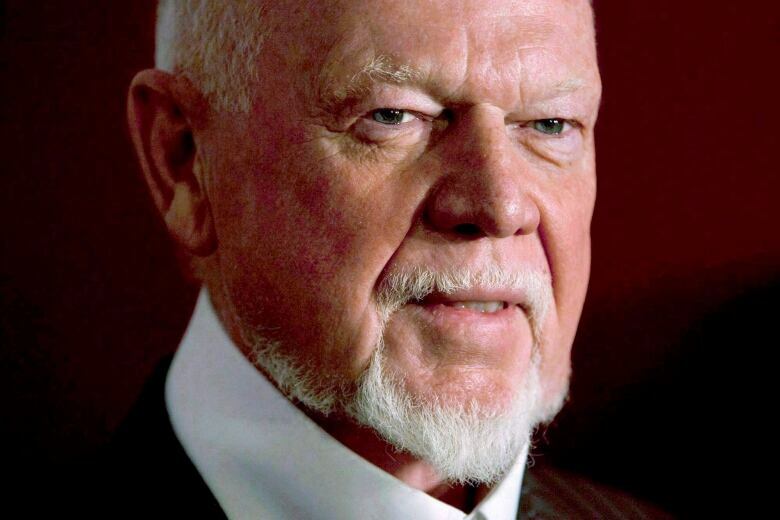 Celebrities such as Margaret Atwood and Don Cherry have shown support for the digital program with their creations being shown on the website. "I'm dedicating my digital poppy to my great-uncle, Sergeant Thomas William MacKenzie, who died in battle four days before the end of WWI," Cherry wrote. The customization element allows you to share the soldier's story, memory and sacrifice with your digital network on social media or to display the image on your device. "It's very easy, with a click of a button," said Sweeny. "You can put it on your iPhone or iPad. I have it as a screensaver." And just as with the box trays, all proceeds go toward helping veterans and their dependents. In fact, using your address to determine your location, the donation goes directly to the Legion branch closest to you to help local veterans. The digital poppy is available until Nov. 11, Remembrance Day. Sweeny said the digital poppy program's success has surpassed the organization's expectations. "It's been a lot better than expected," she said. Many are posting their virtual poppy coins on Facebook, Twitter and Instagram. "A lot of people are going crazy with it," she added. However, Sweeny emphasized that the digital poppy is not to replace the lapel pin but rather to complement it. "This is just another way to enhance that program and perpetuate remembrance," she said. Physical poppies are not about to be phased out any time soon, she said. "We still have occasions such as Remembrance Day where people lay their poppy at a cenotaph, people lay their poppy at a casket. "We'll always, always wear that red poppy over our hearts."